The auction will be held by Archives International Auctions in NYC and their offices in Fort Lee, N.J.
Archives International Auction’s (AIA) December “50th Milestone Auction” scheduled for Monday and Tuesday, December 3-4, consists of over 1,150 lots of rare and desirable banknotes, scripophily, Presidential autographs, and historic Ephemera. Featured will be an extensive collection of Chinese banknote rarities, U.S. & Worldwide Banknotes, Scripophily, Security Printing Ephemera, and a U.S. Presidential Autograph collection as well as hundreds of other desirable banknotes, bonds and shares, and historic ephemera. “The worldwide banknote market has been exceptionally strong this past year with dozens of price records being set every sale. We do our best to cater to every level of collector and dealer and look forward to celebrating our 50th Milestone Auction with the collecting community with another exciting offering that includes hundreds of worldwide banknotes, scripophily, and historic autographs,” said Dr. Robert Schwartz, president of Archives International Auctions. The first and second sessions scheduled on December 3 to take place at the Collectors Club in New York City begins with U.S. & Worldwide Scripophily with many highlights from the John E. Herzog Collection including major rarities such as the impressive Spanish, Real Compania de San Fernando de Seville, 1740s Share Certificate; two different 1917, Dominion of Canada War Loan Specimen bond rarities as well as many 18th- and 19th-century rarities. 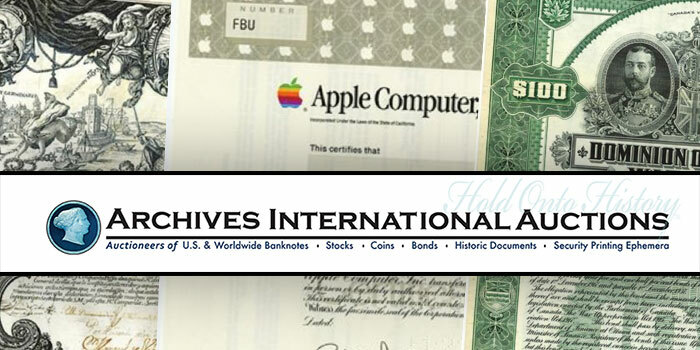 Modern Scripophily is represented by numerous stocks such as Apple Computer, Amazon.com, NYSE Group, Inc. and Berkshire Hathaway Specimens. Additional Highlights include a 1778 Danish West Indies Bond; two different Nathan Rothschild Russian Bonds; an 1845 Michigan, Mackinac and Lake Superior Copper Co. Stock Certificate and hundreds of additional desirable Bonds and shares emphasizing railroads, mining and modern bonds and shares offered over the two-day auction. Security Printing Ephemera is highlighted by a spectacular 1866 British American Bank Note Company, Engravers & Printers, Proof Advertising Sheet Rarity, dozens of spectacular early advertising notes from ABN, BW&C as well a pioneer polymer Tyvek and DuraNote banknote rarities and numerous other desirable items. We are also privileged to offer a historic group of Presidential signed documents including an Abraham Lincoln signed Military Appointment of N. J. Sappington, later assigned to Elmira Prison to feed captured Confederates, as Commissary of Subsistence of Volunteers; two different James Madison signed documents and numerous other Presidential signed documents from an old estate collection that has been off the market for over 30 years. Foreign Banknotes include many desirable rarities such as an Australia, 1941, Camp Seven Bank Hay Internment Camp 2 Shillings note; a 1937 Bank of Canada, $100 Specimen graded PCGS 66 OPQ; a Chile, 1878-79 Banco Nacional de Chile Specimen Banknote Quartet, all extremely rare notes; a DWI, 1905 Proof $100 National Bank of the Danish West indies rarity; an amazing Irish Republic, 1866 Issued Uncut Sheet of 3 $5 Notes; Possibly the finest known, Germany, Imperial Treasury Note – Reichskassenschein 1906 Issued Banknote in AU 55 EPQ with no other notes listed in the PMG census as well as dozens of additional rare and desirable notes. We are ending the first day with a significant offering 128 lots of rare China and Hong Kong Banknotes and Chinese Scripophily featuring a Hong Kong, Mercantile Bank of India, 1941, $5, Issue Banknote Rarity; a Sin Chun Bank of China, 1908, $10 high grade Private Banknote; a 1920, 10 Tael Specimen Commercial Bank of China Rarity and dozens of other rare and desirable Chinese banknotes. The first day ends with Chinese scripophily highlighted by a Chinese Government 5% Gold Loan of 1912, Issued £1000 Bond. 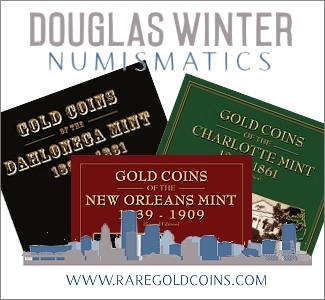 The auction features hundreds of additional rare and desirable banknotes, coins, and scripophily in every price range, for the beginner to the advanced collector. Previews will be held at Archives International Auctions offices Wednesday to Friday, November 28, 29 and 30 from 10 AM to 5 PM and by appointment and on Monday, December 3rd at the Collectors Club located at 22 East 35th Street in New York City beginning at 9:30 am until 2:00 pm EST. For an appointment call (201) 944-4800 or email info@archivesinternational.com. The Online catalog for the December 3-4 sale is on Archives International Auctions’ website and can be viewed via the ArchivesLive bidding platform. It can also be viewed as a virtual catalog or downloadable .pdf on their website. 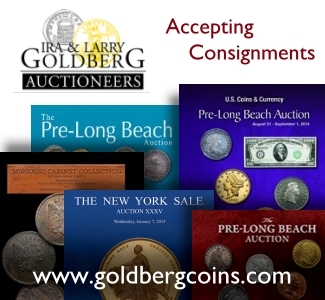 To pre-register for live internet bidding, log on to the Archives International Auctions website at www.ArchivesInternational.com.